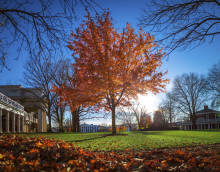 Blacksburg, Virginia is another town which finds itself in touch with nature, while having a more relaxed pace of life. With its close proximity to the Appalachian Trail, the town boasts impressive access to hiking, camping, and other outdoor activities. In 2011, Southern Living magazine named Blacksburg the "Best College Town in the South", due to Virginia Tech's interconnectedness with the town. Blacksburg's low cost of living and friendly atmosphere make the town a great choice for many new retirees. Click on the tabs to learn more about what it's like to retire in Blacksburg. Match me with 3 top Blacksburg Realtors!